Invisalign® is one of the most convenient and discreet ways to correct a variety of tooth alignment issues. Traditional orthodontic treatments use uncomfortable metal brackets and wires, while Invisalign® trays are made of clear plastic, making them virtually invisible in your smile. Alignment issues can increase your risk for periodontal disease and tooth decay, compromising your oral health. Advanced Dental Health offers Invisalign® treatment to patients in the Phoenix, AZ-area. This comfortable and discreet cosmetic treatment is performed using a series of clear plastic aligners that subtly move your teeth into the appropriate position. Your doctor will take impressions and scans of your bite that will be used to create your trays. Each successive tray varies only slightly from the previous, gradually providing exceptional results. Patients can easily remove their Invisalign® tray when eating and drinking, or to brush their teeth. Your initial consultation with one of our doctors will consist of a thorough examination and evaluation of your oral health. You should have clear dental goals coming into this consultation, as that will help us recommend the best method of care and help you achieve the smile that you desire. We will then take measurements and scans of your smile to create your aligners and plan your treatment. Proper at-home dental hygiene during treatment will maximize the dramatic results of your beautiful, newly-straightened smile. Proper maintenance and application can help ensure that you get the results that you want from treatment. 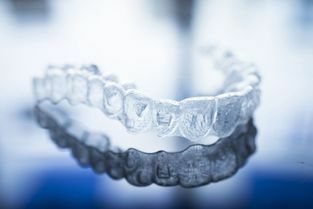 The clear plastic aligners must be worn for at least 22 hours a day, and should only be removed for eating, drinking, and cleaning of both the trays and your teeth. It is important to keep up with regular maintenance, as Invisalign® patients can sometimes experience staining on their teeth. Proper at-home dental hygiene during treatment will maximize the dramatic results of your beautiful, newly-straightened smile.